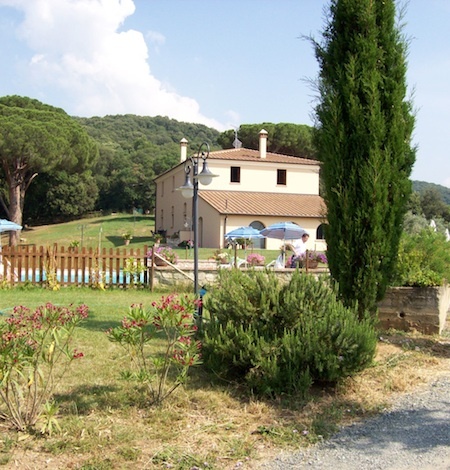 This Agriturismo is situated on the hills of Castagneto Carducci, with a panorama of the sea and Castagneto Carducci between the olives trees and woods behind, it is a real paradise of tranquillity, this place has been restucted by Piero Piacenza and his wife Mariella Filippi, maintaining the characteristic of this place and insures the maximum of relax. 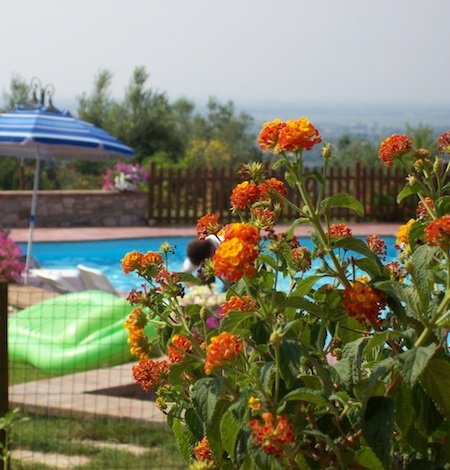 The Apartaments nicely furnished, the outdoor swimming pool for adults and children surrounded with green laws has the panorama of the hills of Castagneto Carducci. For your relaxation you can have long walks in the countryside or have a bike ride to see the nature. San Bartolomeo is (7km) from the sea and (3km) from Donoratico. Not far away you can visit the tombs etruschi at Populonia, and other places like Bolgheri, Volterra, Firenze, Pisa and ess.